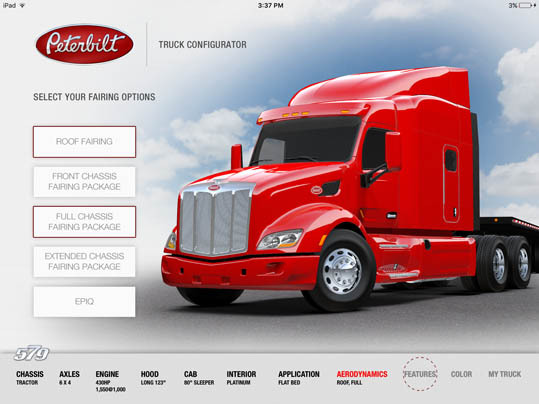 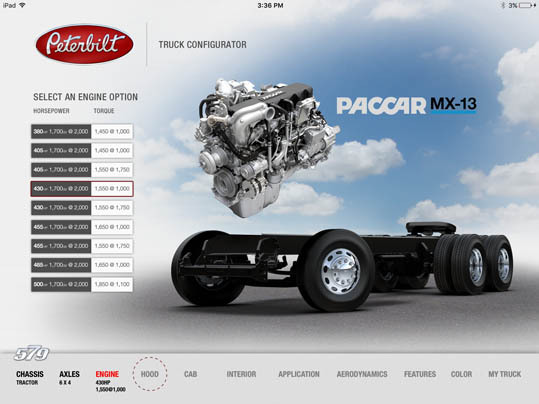 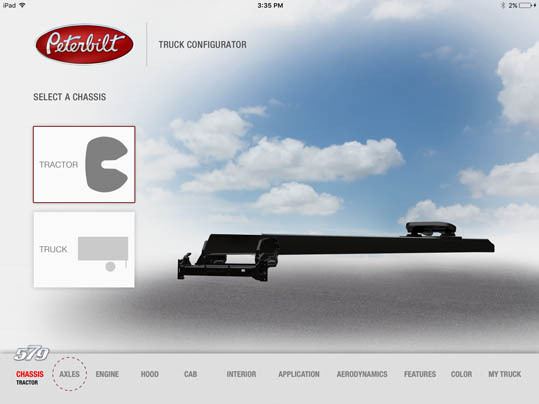 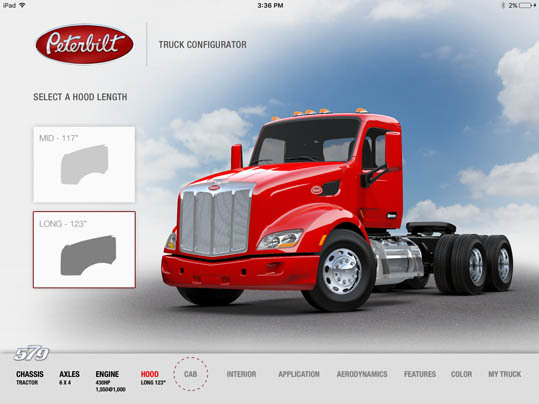 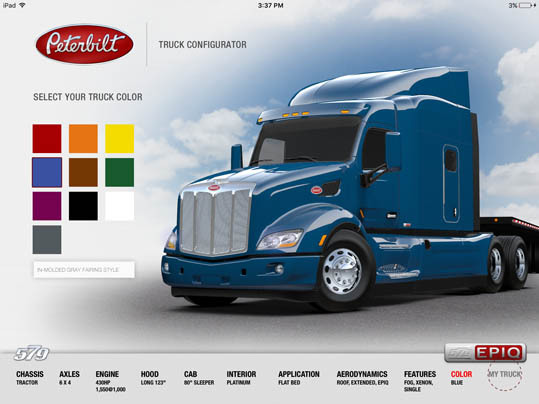 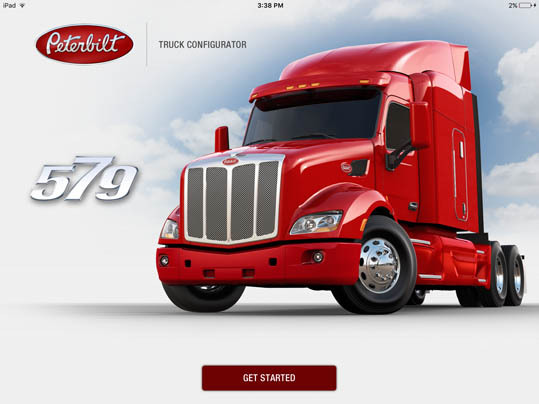 LaDriere, the Bloomfield Hills, MI based digital art studio announces the launch of the Peterbilt 579 Truck Configurator app. 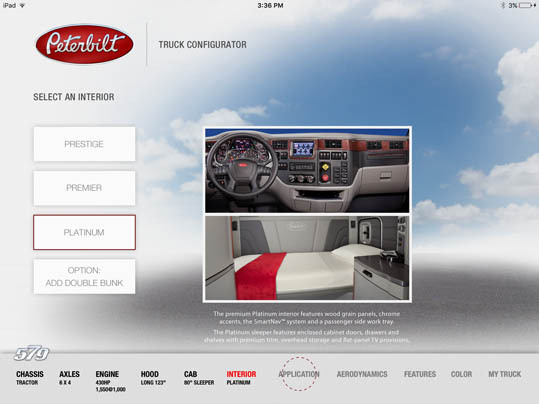 This is the second business iPad application for marketing and advertising purposes that the studio has developed. The studio designed the UI and completed the app artwork that consisted of about 200 rendered assets which generated over 1000 images after compositing to provide over 3000 possible truck configurations. 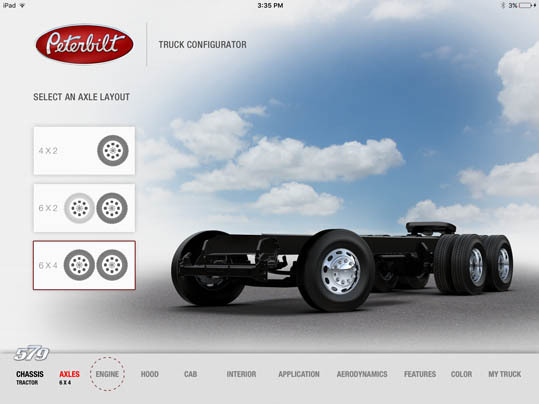 Ann Arbor based mobile app developer Arbormoon software provided IOS app development services on the project.